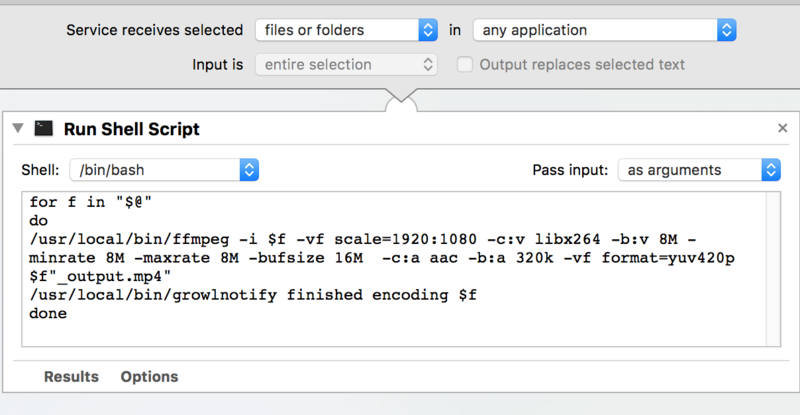 I have written an Automator Service that calls ffmpeg, encodes the selected files in Finder, then sends a notification via Growl to Prowl on iOS. It all works, but I'd like to be able to view the progress of the ffmpeg encode. Is there an easy way to see the ffmpeg process in a Terminal window when it runs? Browse other questions tagged terminal bash automator . Create Automator Service With a Python Script?